My return to MtG has been quite slow the last weeks. Gaming is slow when work-life is involved, so my drafts have been few. But then it happened. The new set was pre-released a few weekends back. I did everything I could to play at least in one event of that expected weekend. The week after I dedicated some time to play another draft with the new cards. So you could consider that a first impressions report of my experiences with Khans of Tarkir(KTK). I usually try to investigate as much as possible before I participate in limited games. Analyzing not only card interactions, but also player experiences, gives me an idea on how to play with the set. Everyone has his own and unique point of view on the power level of the cards involved, also what cards have been effective in their communities. This time no experiences were to be had. The Magic Community Cup had happened, but not much else could be gathered. So I just set out to go with my gut feeling and play my favorite colors. This time the expansion is parted in five clans, each with its own color combination. I usually play blue and black or blue and green, although nlately I had had more success with blue and red. So my decision was felled through the ability. Sultai (blue/black/green) and Temur (blue/green/red) were on the radar. The first combination has Delve, in which removing cards from the graveyard can lessen the cost of its overcosted spells. After an initial furor I decided not to go that way, a choice I am quite happy with and I will explain later. Temur was thus the clan to fo. I figured that, having good experiencs with blue/green hydra deck, I could go with the combination that supports Ferocious, an ability that gets better once you have big creatures in play. Thus I sat there, on Saturday afternoon with a little box with dragonclaws represented on it. Before opening it I was wondering if I could fit only two colors in my deck. I learned from before that splashing a third color could be dangerous business in limited, so I always try to avoid it. The issue of KTK, at least that is how I saw it, was that we are all forced to play three in some way or another. For me, up to now, the set looks like a perfect Commander/EDH edition, since there the pacing is slower and you can better get your three colors together. I relaxed for a second while the other players sat down around me and I realized all my opponents would face the same considerations. The deck ended up having to many Morph creatures for my taste. It always looked to me like MtG trying to cash in on the Yu-Gi-Oh crowd. But I ran with it nevertheless. 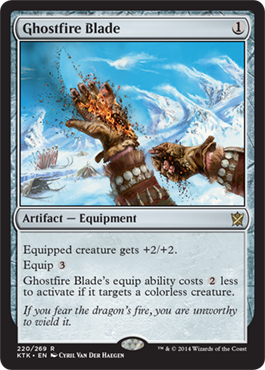 I always was negative eyes on this mechanic, but my “Ghostfire Blade”convinced me to just try it again. Like in last article, one should never let these feelings veer one away from a potentially good deck. Game one was smooth. I used a lot of morphs and with the sword on my side I pretty soon had by turn four a 4/4 ready to activate Ferocious. The I learned that my opponent had a four color deck, just for one card (Utter End), which led him to a big loss because of manascrew. Take note: never splash a fourth color for just one card. Even an opponent’s loss can teach you a lesson. MVP of my sealed deck. The next game was with a more consistent opponent. The guy is very experienced in Magic and very friendly, but I already had lost to him before, so I stepped up my gaming skills as much as possible. He played Absan, a tribe I was afraid of because of Outlast. Sure enough, he dominated the game at various moments, and my second victory was only possible because I attacked with an “Embodiment of Spring”. He let it pass, wondering about my choice. I finished him off by using a delved “Become Immense”, using the last cards of my deck. That was tight. I don’t think Delve is in itself a bad thing. The cards are overpriced because using the graveyard to pay them could potentially break the cards if they had retained their original price. The thing is that it requires a lot of self milling to use it often, which I find uncomfortable, especially considering that I have a 40 card deck. However, Delve can be especially good when you include a very limited number of them in a deck. The cards do pile up in the graveyard as you play on, giving you a perfect chance to use the cards one last time. I consider this especially useful for decks like the constructed 8-Rack, where the constant discarding helps fuel a few useful effects like “Murderous Cut”. I will have to try these cards out to see if they will be useful for my modern-formatted deck. After all, a one mana removal is nothing short of amazing! My last three games were a disaster. I still can’t figure out what I did wrong, but mostly I blame it on my inconsistent use of the morphed creatures, which I tended to prefer to cast as they were. Also, much to my surprise, there were some amazing Jeskai creatures that were stronger than I thought when using Prowess. I suddenly had constantly lightly powered creatures smashing into me without me being able to eliminate them or block them with the few flyers and reach creatures I had. This clan’s ability made their creatures less easy to predict, making me go through some nasty surprises when I was blocked. I now respect that clan a lot. Overall my result was 2-3, not a very good one. Most of this was probably due to my inconsistency on my strategy, maybe also because I did the biggest mistake, which was underestimate a clan which I confronted twice. But this, being my first Sealed experience, was extremely fun and I would be very open to try it again, this time without a seeded booster amongst my cards. Well, I have to learn from this mistakes, and I hope I do a better job next week, if my working schedule allows. But I must say I am impressed how easy the mana-fixing is achieved and how some cards are just awesome to play in draft. Maybe I am not a fan of the three color approach, but at least it does not feel as painful as I thought, and I must say that I am extremely pleased with the new set, no matter how bad my results have been. Now I just have to learn and pay attention to my strategies. In my first set of experiences in Magic: The Gathering, I tried to get as many draft mini-tourneys as possible. Draft has many advantages: it helps you to get to know the newer set (in this case M15), to experiment with cards and finally show how much you can asses the potential of a game in a short time. Secondary benefits: you get to collect some cards (which I need now a lot) and to play in an even setting: no one brings his top deck to try to destroy all opponents, including the one that just got into the game and whose collection is kinda poor. I have been all my life a blue player, and though I have delved into other colors occasionally, there is one thing that always was a big no-no to me: white. For those who don’t know, white is the color of huge armies and protection, which could sound nice, but it also represents goodness of goodness sake. If you need further proof for that, then just see how many angels are in this color. I also feel that I am not quite alone in this opinion. So, after investigating a lot, including listening to podcasts, reading articles and all that stuff, I finally got ready for my first draft in years and in the newer Core Set. It failed. Most of it was because I was forced to draft white/green, and my hate for the first color just drove me into poor decisions while trying to get blue or red. The second draft is where I entered more prepared. I discovered that many people were not drafting white at all in the last game, so this time I payed attention to that fact. Two weeks after my biggest fail I approached the whole situation with a different outlook. Using a bit of my Sun-Tzu knowledge, I decided to attack my seven opponents from a side they did not really expect, giving me as a result a deck as consistent as one can make. Three “Triplicate Spirits”, two “Raise the Alarm”, a soldier-spawning enchantment later and some convoke creatures peppered into the pool, it turned out that I practically controlled the situation in all games I played, and ended up winning a 2-1 in global standings, 4th place, which was for me quite an achievement as a re-entering player. M15 does not lack flyers, but somehow weenie flayers quickly took care of the bigger flyers with the help of some removal. Most of my opponents had to concede at the end that not taking white turned out to be their biggest mistake. Specially “Triplicate Spirits” has an ability to overwhelm enemies in a limited format. My only loss, though, was a big mistake on my side: I decided to take creature damage, and was left on three life against a red deck: a terrible idea considering that a well placed “Lightning Strike” crisped me to make me lose a game I could have won. That night a big lesson was learned: first, never ignore a color. If no one drafts it, the most probable thing is that you might be well able to create a deck that is closer to a constructed format than a limited one, thus permitting combos or syncs that can bring some fine results. Always remember that what an enemy thinks as a weakness can be, much to his surprise, converted into a strength. I hope to be drafting soon and often, since I am terrible in constructed formats, mostly due to the lack of cards and knowledge. But in the meanwhile a good draft can teach me a lot. I hope to enjoy this more while I build up my collection! If there is a reason for something to take away my attention to the blog, it is the discovery of a game than keeps me so engrossed, that I forget everything around me. This happened to me in recently weeks: I went to my parents’ house, picked up a few old boxes and BAM! I am addicted to Trading Card Games again. 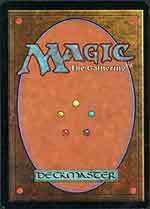 For those who don’t know, Magic: the Gathering is a pretty unique kind of game, where every player takes the role of a powerful wizard who summons creatures to attack an enemy. It is a quite unique kind of game, since it has not been quite reproduced by other companies. During the years the game has grown immensely, having a very big and complex tournament structure. For me it is a nostalgic trip back to my teens and college years. I was browsing a bit in my boxes, finding some interesting gems that I played with, and suddenly I got pushed back again to the game. It has grown. I must have abandoned it for about five to six years, and now the look is different, the rules are, and somehow I got the feeling of becoming a grumpy old man. Old Rulebooks to old decks I bought. I really entered Magic in a broken, but glorious age! So here I am re-exploring my old game and trying again to pick up the old addiction than always left me poor. I am willing to see what is new and what is old. In other words, this is going to become yet another topic of this blog, aside from video games and fantasy stuff. I even got, for the first time in almost decades, a DCI number. Now I am part of the system. The idea is that I will play mostly casual games, included with some Friday Night Magic tournaments, to see how well I fare at a game I loved and now have to re-discover with great difficulty. This will include set reviews and card reviews. Hopefully I can get on another distraction that gave me so much lately. 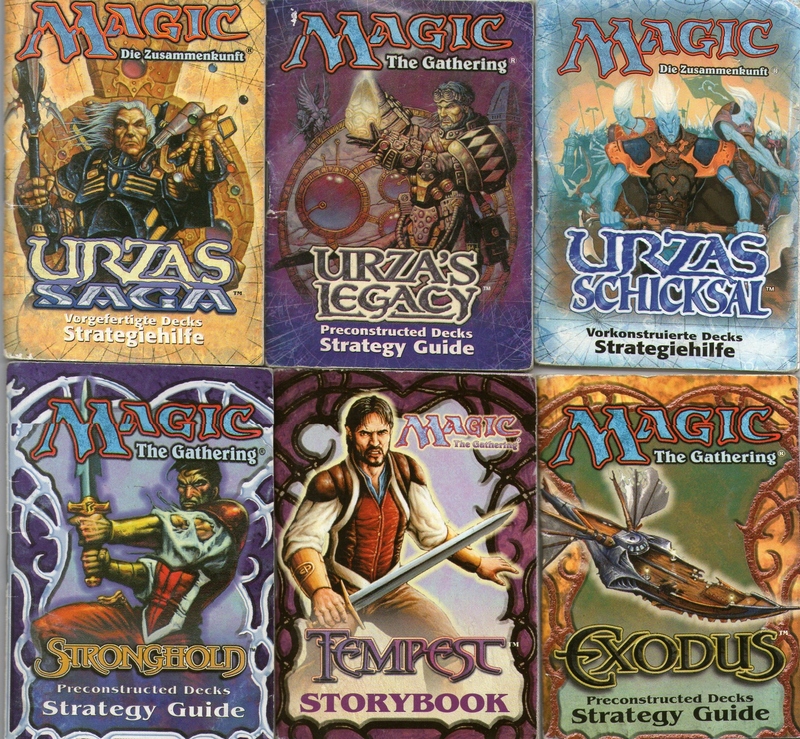 And if you say why include Magic into my games list: this is a fantasy blog, and Magic: the Gathering IS fantasy. As far as the experience goes, I had to get used first to the new look. But up to now everything has been going nicely. I have been drawing foiled cards (shiny versions of cards that tend to be rarer to get) of pretty important cards, “Sliver Hivelord” of the new M15 edition being the highlight to me. But there are so many formats today: limited, constructed, draft, cube draft, commander, standard, vintage, modern, etc. It is just so much information to get into the head. Also, locating stores in my area has been quite a chore, since in my area the situation has not changed much. It may be attributed to the lack of potential players, since not many earn money to cost this addiction. Few franchises have such deep and strong roots as The Legend of Zelda. Ever since its first appearance in the NES it has been a standard in quality and interesting gameplay (except, of course, for some exceptions, you know what I mean). As E3 is now fading from our discussions and minds, the series has gotten new attention, accentuated by the long awaited Sequelitis episode that recently was uploaded in Youtube. On one hand we have an avid and quite perceptive gamer arguing the loss of exploration, the sense of awe and wonder as the series has progressed, on the other we have an explicit promise by the developers in Nintendo that the world will turn into an open world experience. Exploring is usually synonymous to Zelda. The idea of finding a secret was always one of the thing we took for granted when playing the games. But then Egoraptor reminds us that it is not always what it seems. Specially the streamlining of dungeons shows us how using a basic structure we can eliminate the excitement of discovery in a game. I think this was one of the most interesting points made in his comment: instead of letting us wonder what to do with x item, we know it will be there to kill the corresponding boss of the dungeon. I have always been more a 2-D Zelda player, and this problem is part of even the best of those handheld games. The Oracle of Seasons/Ages, for example, are specially faulty in this regard (I still love them, though). Then came A Link Between Worlds. Apart from this being the game that made me buy a 2DS, I pretty much thought the game had a nifty twist, part of which I already discussed in a previous article. The idea of the already looted items, all taken from their respective dungeons, eliminated the enslavement of the player to the dungeon-specific item. Only the first three dungeons require a specific item, which you can rent for a moment. So why have all those other items then? Well, they serve to explore the world. If you noticed, a common complaint of some reviewers (one example here) is that the game was short, easy to finish. I feel this was on purpose. The dungeons themselves were short, easy to finish in less than half an hour. 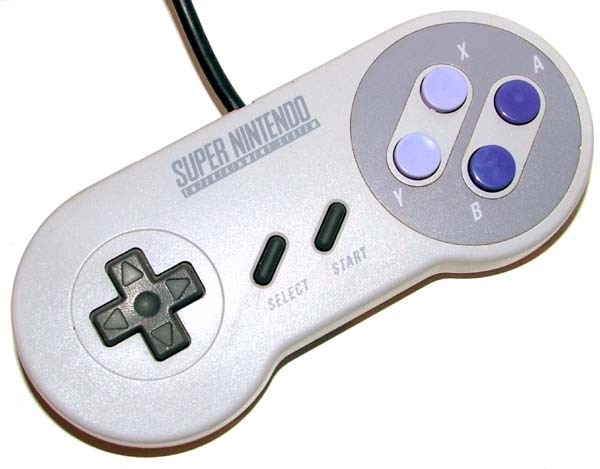 This had two functions: first to keep the game handheld friendly, since nobody wants to interrupt a dungeon and restart it later, since handheld’s focus has always been to quickly play and to be able to stop at any moment. But the second main objective of short dungeons was to make the player explore the world, instead of focusing only on the cave you had to get to. I think that fact was missed by many gamers, who were so used to the usual “Zelda Formula”, that they forgot that there was life under the sun of Hyrule/Lorule. A completionist would see it all, but a regular gamer such as myself could have missed the heightened exploration factor of the game. And it gets even worse when suddenly you are dropped in a new world and you have eight lairs to get to, but you have not the usual numbers or limitations as in A Link to the Past and forward. I personally loved it: I was now free to skip the dungeon with the guards entirely, so I could do, what is to me, the busy work until the last. I loved the freedom, and more Zelda games should strive to this end. There is still the question on how guided a game should be. I can agree that the latest Zeldas have this issue, in which they block your path until you get x item, and also tell you to do this first and then that, much like a chore. But then there is the issue of conveyance, something Egoraptor himself discusses at one point. My biggest gripe with the two NES Zeldas and why I think they don’t hold up anymore is that they don’t guide you, they are way to cryptic. A little guidance is necessary to know what is happening. Exploration should not be limited by too much hand holding, but at the same time it should not be too free, since this confuses the player more than making the game enjoyable. Again, A Link Between Worlds does this masterfully: yes, here are your eight dungeons, however, you have no order and you are free to explore each section as you like. That’s where I think A Link to the Past and A Link Between Worlds represent the main theme of Zelda perfectly. Maybe in the first game you have a few numbers of the map, but they are for the most part open, and you can progress at your pace. There is no need to get a letter of play a song to make someone happy to progress. The latter one even omits numbers and almost every limitation, giving you the chance to really look into the “overworld” and sometimes even forget the main quest. I think this is the kind of exploration most of us would like. Not hand holding, but neither total freedom and a loss of sense of direction. Some guidance is necessary, but not too restrictive as to keep you technically on a straight path with a little fork at the end, as Ocarina of Time did. These are, at least, my two cents on this rich discussion that has erupted. I think there is much to be expected from the new game that will come up, specially on this new focus of letting the player regain control over his action and let him do what games best let us do: to determine our own actions and to live with the decisions made in game. A little poem in Quenya. It is based on two of Tolkien’s works, Markirya and Namárië. I may not be a great poet, but I think this one ended up looking nice. The content depicts the sadness of the elves as they leave Middle-Earth and see that man stays behind. Here he is represented as a deaf folk, unable to listen to the song that ties existence together. This session was played on Friday the 6th. Run time: 1:12. The game goes on. I have last session finished the tutorial-like gameplay and have finally set out to my adventure, getting the first star back. The whole business with the shy-guys was quite funny. Before I entered that boss, though, I decided to grind. This is a magical word in the RPG genre, and it has been a very though point in the debate. 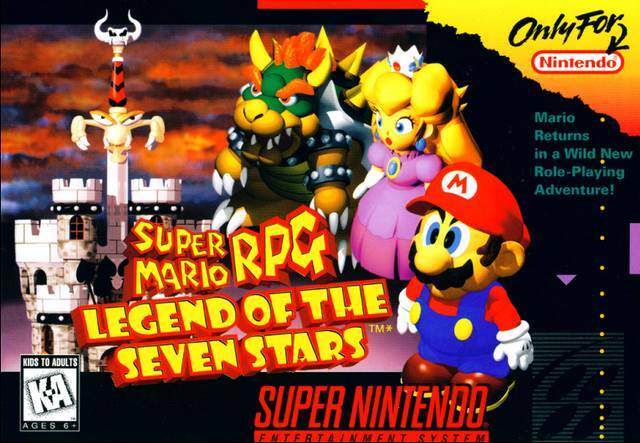 Compared to normal platformers, the standard RPG is always riddled with the obligatory sections of killing enemies just for the sake of the experience and to get to a better level to eliminate the next boss. Some just don’t like the idea. For me this mechanic has been a core experience when going into games. I prefer this grinding method, not because it makes me feel better, but because it permits me to relax the mind for a while. I usually end up thinking the most unimaginable thinks while pressing a few buttons and watching my character grow. There is something to be said about grinding. There are times this can be exaggerated. While it is nice to have now and then a moment of respite and some time to think about the next great philosophy, others just want you to sit on the A button for an eternity to advance. I usually measure the greatness of an RPG depending on the times you will have to grind to unlock the next part of a story. We have to remember that we play those games because of the epic story lines that develop. In other words, an RPG acts often as a book, where you can travel along the story and do mini games, side quests and other things that do not follow the completion, to take a break, while we enjoy our capacity of decision-making that video games allow us to have. Something like a book with distractions for when we get bored of the story without exiting the world that has been so beautifully presented to us. My general rule of thumb is around three to five great grinding sessions. Too many and the game will be frustrating and boring, showing us how the difficulty spikes are constant and require us to stay in the same areas for too long. My war cry at this moment is always: “Just let me go on with the %&@! story!”. On the other hand, fewer grinding sessions usually speak of an easy game, which flows. Those types of RPGs are fine, since they permit you to continue without stopping, but sometimes make you miss forced stops to appreciate the details around your normal storyline. 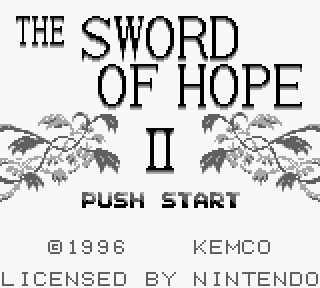 An example of a game that has too many grinding stops is Sword of Hope. When I found the second game on my 3DS’s virtual store, I was quite amazed. I only had played the first iteration, and it was quite bad, since I was the only party member who had to fight incredibly tough foes at every turn. It was easier to grind for three hours at each zone instead of being instantly poisoned, paralyzed and then killed of by a group of three enemies. I just downloaded the game to see if there had been some improvements on the formula. There were some, namely the capacity of having one more member with an occasional third from time to time. But the main frustrating elements were still there: grinding, grinding, grinding. In SMRPG I have now engaged a little session of grinding, just to make sure I could beat the first boss, and it was not too bad. I enjoy the mechanic of paying constantly attention to the game, to get the criticals flowing, and the session did not last longer than ten minutes. Also, I got some new stuff, which made the little effort worth it. My general level is still low, but I think I can manage the game with two sessions of grinding, which is great for an RPG game, easy to follow. The story is now rolling and Mallow has a “destiny” in front of him. Still, the isometric view drives me crazy. Next session I will have Geno standing on my side, so I am greatly looking forward to it!